Security is broken. 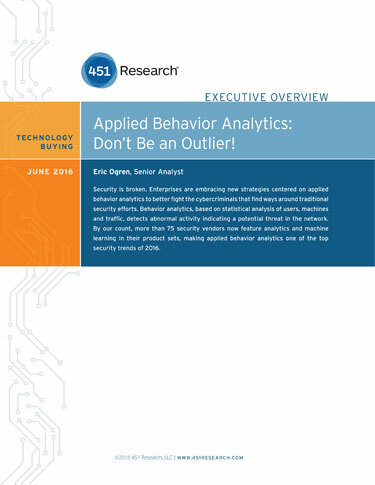 Enterprises are embracing new strategies centered on applied behavior analytics to better fight the cybercriminals that find ways around traditional security efforts. Behavior analytics, based on statistical analysis of users, machines and traffic, detects abnormal activity indicating a potential threat.